The elves at Wrapped Up N U have been using the same $20 coffee maker for years. 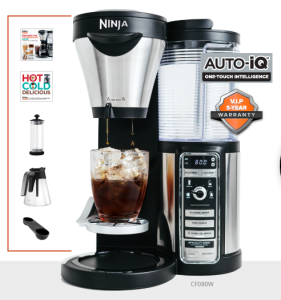 Yeah, I know direct ties to Santa and still a $20 coffee maker?This year when we were offered the chance to own the Ninja Coffee Bar, we were thinking...ewwww, so fancy! But a coffee maker is just a coffee maker right? WRONG!! My world was rocked when we did a taste test and found out all brewing systems are NOT created equal! We could not believe the difference in flavor. We do not know what kinda magic goes on when you add water and your normal everybody coffee to this machine but it's there. The Ninja Coffee Bar gives your coffee a smooth richness that is just not in other coffee systems. It is able to extract every last drop of flavor from a coffee bean. And since this is not a pod coffee maker you have more freedom. You use your own ground coffee and as much or as little as needed. 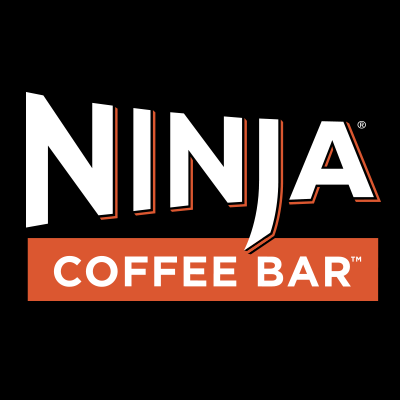 The Ninja Coffee Bar also comes with a recipe book to help teach you the advanced coffee drinks(we are still working on those).You will be brewing your favorite coffee house items in no time and saving tons on money in the process. Not to even mention the sleek design that does not take up much space at all. It's also very easy to clean and maintain. Although this machine looks technically advanced we promise it's easy to use. The elves at Wrapped Up N U have no doubt this will be the must have item on LOTS of holiday wish list this season. This is just one of the great products offered by the fine folks at Ninja Kitchen check them out today to find the perfect item for everybody on your list. Are we impressed with this coffee brewing system? Yes, just a LOT, we will never drink coffee the same away again. Available at major retailers nationwide in September, starting at $139.99 MSRP.